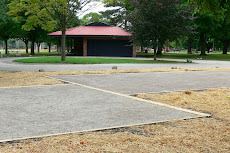 Pétanque Ann Arbor: 2013 Tournament - September 8, 2013 at 1:00 p.m.
2013 Tournament - September 8, 2013 at 1:00 p.m. Perfect weather. Lots of fun. Jane provided her wonderful brownies, sandwiches, fruit and veggies; Sushi from Yotsuba, and cookies from Jeanne. Jane ran another great event. Good mix of experienced and new players. Old friends and new ones. Wonderful to welcome the Ruals (Sandra, Jeff, and Michel) and the Blaskes (Tom and Many) and our faithful friends from Ohio (Bo and Josh). We missed Gilbert who really wanted to participate but is on the road to recovery. Thanks to everyone for coming! Please include: Name(s) of players (# of non-players),and a phone number for last minute changes. Open to everyone, novice & experienced players as well as children over 8 years old. We can provide boules to those new to the sport. Teams of triplets will be randomized.